The Motley Fool Canada » Energy Stocks » Should You Buy Canadian National Railway Company (TSX:CNR) or Enbridge Inc. (TSX:ENB)? Should You Buy Canadian National Railway Company (TSX:CNR) or Enbridge Inc. (TSX:ENB)? Bargain hunters have returned to the TSX Index in search of deals after a strong pullback took some of Canada’s top stocks to very attractive levels. Let’s take a look at Canadian National Railway Company (TSX:CNR)(NYSE:CNI) and Enbridge (TSX:ENB)(NYSE:ENB) to see if one is a better choice today for your portfolio. CN CN delivered solid results for Q3 2018 and investors should see the Q4 and 2019 numbers follow the trend. Net income in Q3 2018 rose 18% compared to the same period the previous year, supported by higher revenue in most of the company’s business segments…. 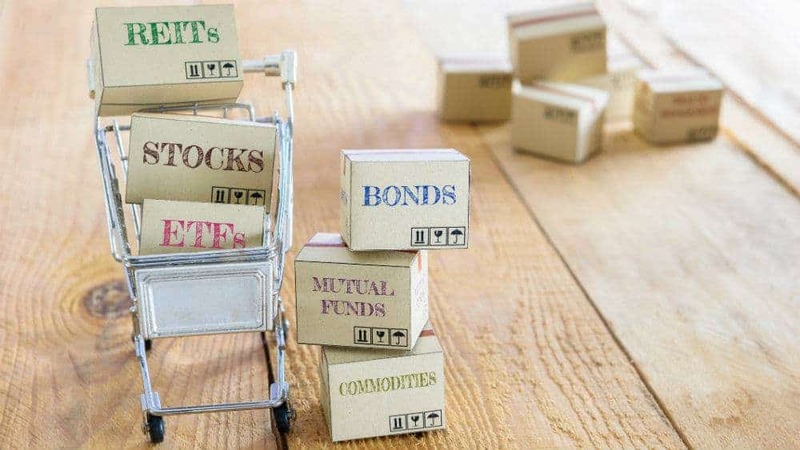 Bargain hunters have returned to the TSX Index in search of deals after a strong pullback took some of Canada’s top stocks to very attractive levels. Let’s take a look at Canadian National Railway Company (TSX:CNR)(NYSE:CNI) and Enbridge (TSX:ENB)(NYSE:ENB) to see if one is a better choice today for your portfolio. CN delivered solid results for Q3 2018 and investors should see the Q4 and 2019 numbers follow the trend. Net income in Q3 2018 rose 18% compared to the same period the previous year, supported by higher revenue in most of the company’s business segments. Petroleum and chemicals rose 25%, fertilizers increased 15%, intermodal rose 8%, forest products jumped 15%, metal and minerals increased 15%, coal jumped 25%, and automotive rose 3%. CN is investing significant funds to ensure it remains competitive and operates efficiently. The company will put 260 new locomotives in service over the next three years and is adding 1,250 new conductors. CN also ordered 1,000 new lumber cars and 1,000 new box cars last year, and another 1,000 grain cars will be added in 2019-2020. Technology is helping the company improve its asset reliability and availability. CN is investing in automated inspections that should shift the company toward predictive maintenance, which would be more cost effective than reacting to issues. CN generates significant free cash flow and investors should see another generous dividend increase in 2019. The stock has bounced off the recent low of $96 to $110 per share, but still appears attractive given the strong demand outlook for the company’s services in 2019. Enbridge is finally attracting investors again after a rough run over the past few years that saw the share price fall from $65 to a low near $38 last spring. Investors who had the foresight to buy at that point are sitting on some nice gains. Enbridge is back up to $47 and should continue to move higher. The company has restructured to become more streamlined and made good progress on the monetization of $10 billion in identified non-core assets in 2018, which should help strengthen the balance sheet and support the ongoing capital program. Enbridge is working through $22 billion in commercially secured projects that will boost cash flow enough to cover the 10% dividend increase in 2019 and another 10% hike next year. Enbridge has raised the payout every year for about two decades, so ongoing increases are likely in the cards. Major pipeline projects are tough to build these days, but Enbridge should have ample growth opportunities across its vast network of regulated businesses. Investors who buy today can pick up a yield of 6.2%. CN and Enbridge should be solid buy-and-hold picks. At this point, I would probably split a new investment between the two stocks. David Gardner owns shares of Canadian National Railway. The Motley Fool owns shares of Canadian National Railway. Fool contributor Andrew Walker owns shares of Enbridge. Enbridge and CN are recommendations of Stock Advisor Canada.